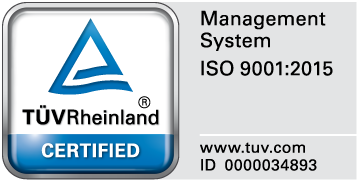 Profound BV is an ISO 9001:2015 certified company, awarded by TÜV Rheinland Nederland. TÜV Rheinland Nederland is an independent organisation recognised by the Dutch Council of Accreditation. TÜV Rheinland is one of the leading international providers of technical services for quality and safety. TÜV Rheinland issues quality certificates for products and systems or for the company itself. © 2017, Profound, Waddinxveen, The Netherlands All rights reserved.